Beat the bad weather with 25% off all Clear, Heavy Duty and Combi Covers this month. 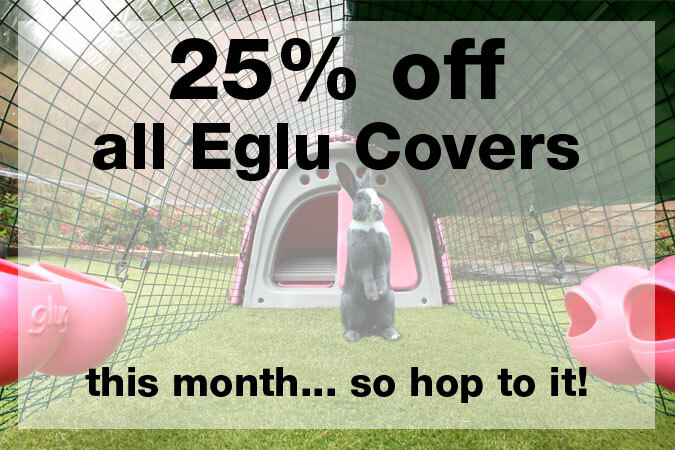 Suitable for all Eglus, Walk in Runs and other coops and hutches, Omlet Covers will keep your furry and feathered friends dry on the drizzliest of days. Stock up with 25% off all Covers until the end of January! This offer is not applicable to multipacks. This offer is valid in the UK only, from 16th to 31st January 2015.